With “Set Up 707”, Edge of Motion was a torch bearer in the beginning of 1990’s. Current release comes from 2005 and two Dutch masters have teamed up with Ronin aka Dave Ellesmere to create tense but constructive pieces of techno with harder edge. 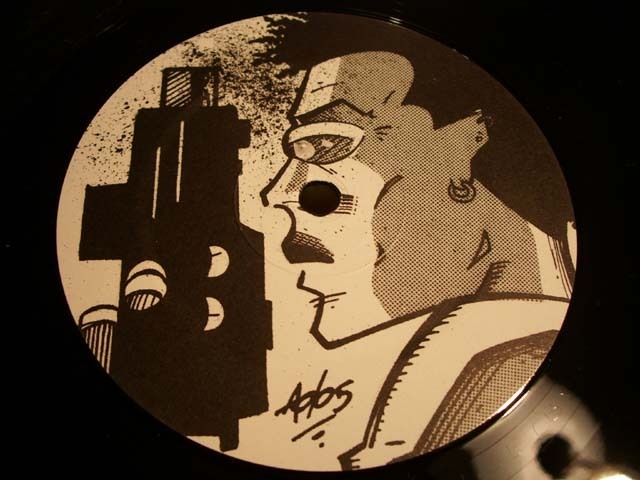 A-side’s “Break Da Roof” sounds like ordinary schranz that would have remained unnoticed in a DJ set by Chris Liebing five years ago. “3 Da Hardway” is not as much rushing but treats your skin with sandpaper and ears with howling acid lines. Concrete floors would hold out, but no guarantees are give for parquet. Quite efficient is also “Yeah Baby” – evil acid techno with masculine roaring. “Inattack” gives powerful finishing lines. Probably one of the last releases by Edge of Motion and has to be classified not as a new record but something from the archives, as it lies already five years back. Full respect to the heroes of the past.